When MasterCraft Safety (MCS) owner Robbie Pierce purchased Impact in 2010, he added a full line of helmets, driving suits, gloves, and shoes to complement MCS’s established line of seats and restraints. Since that time, the influence of MasterCraft Safety on Impact’s product line has been evident, beginning with new helmets like the innovative Air Draft OS20 and the economical 1320 Side Air. Impact’s full line of driving suits have also been updated with modern styles to complement the comfort and safety Impact is famous for. Now MCS and Impact have revisited our driving gloves, producing what are arguably the most comfortable and advanced glove ever offered. The new Impact Alpha Gloves use completely external seam construction,reducing pressure points and abrasion. The top-of-the-line Alpha Gloves from Impact feature Italian-inspired design and innovation for the ultimate in driver comfort and technology. 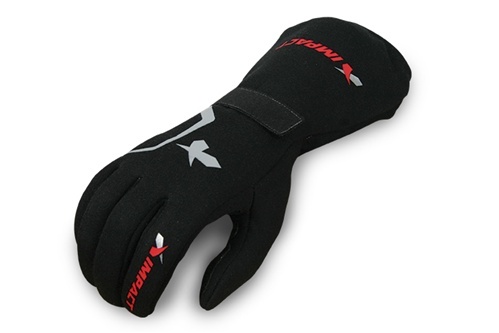 Designed with a unique parabolic pattern and single piece palm, the construction of the Alpha Glove eliminates troublesome seams and fabric bunching from the palm area. Featuring our exclusive lightweight fire-retardant Ultra-Grip treatment and anatomically correct pre-curved patterning on the fingers, these SFI-approved gloves provide superior steering wheel grip, even during the most extreme racing environments. 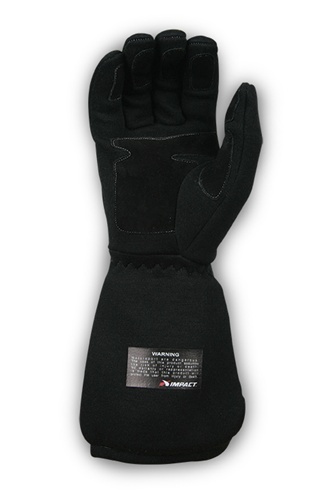 The Impact Axis Glove provides a lot of bang for the buck. 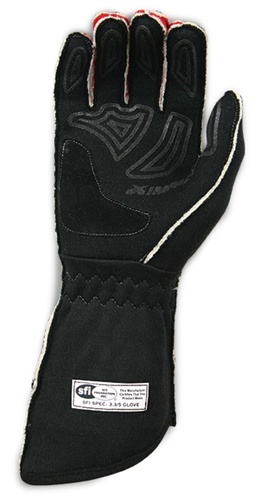 The affordable Impact Axis glove features suede insert panels and external seam construction for the ultimate in driver comfort and steering wheel grip. 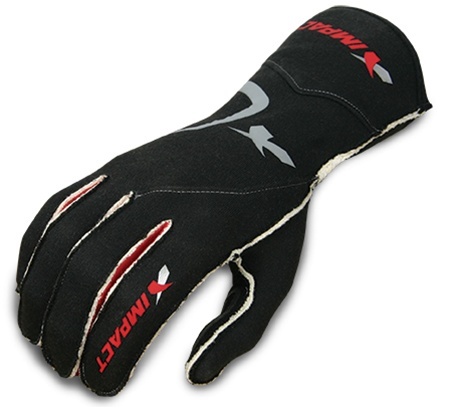 In keeping with their drag racing heritage, Impact has developed the Redline Gloves from pre-curved Italian leather for the best possible fit from a six layer glove. 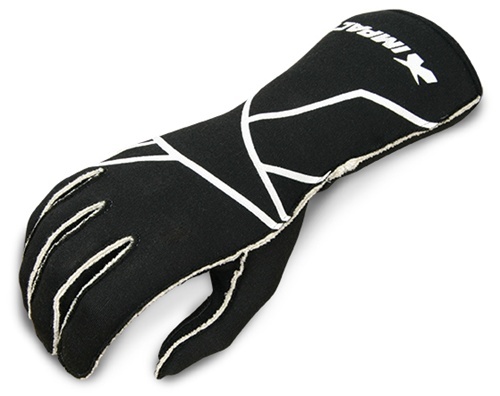 The Redline Gloves are SFI 3.3/20 rated, earning a TPP rating certifying them for use in Top Fuel and Funny Car racing and the elastic zig-zag gauntlet closure ensures the gloves stay comfortably in place, even at 300 mph. fire protection with its SFI rating of 3.3/20 and a TPP of over 100. If you have been driving in work gloves or welding gloves, you owe it to yourself to try on a pair of Impact’s new Italian glove offerings. The difference in tactile feel and comfort will amaze you. You can find us at major motorsports events all across the country or learn more about our new gloves from one of our reputable dealers.